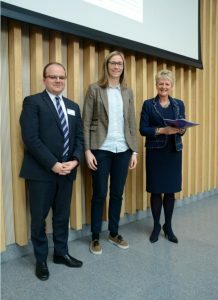 Respondents voted for the three posters most inspirational for their own practice, resulting in three winners reflecting some of the diverse teaching practice across the University. The winners, in no particular order, were……. You can view all posters and further information about the projects here. Winners will be writing a blog post to provide an update on their project and we will keep you updated here. Congratulations to all winners and all other staff who submitted a poster this year. We hope to get even more submissions next year.